This 2-week healing plan will assist you in releasing and healing the emotions and beliefs that keep you stuck in frequent (or even daily) stress, fear, and anxiety. Consider the possibility that frequent bouts of stress, fear, and anxiety have become a normal state for you. You are used to feeling stress, fear, and anxiety and these states of being can easily be triggered as you have formed a habit of feeling this way. You also may be mimicking a generational pattern that either of your parents may have also experienced. At the end of this 2-week healing plan, you will have created a new state of being where you will feel more open and free to create a daily experience of calmness and fulfillment. 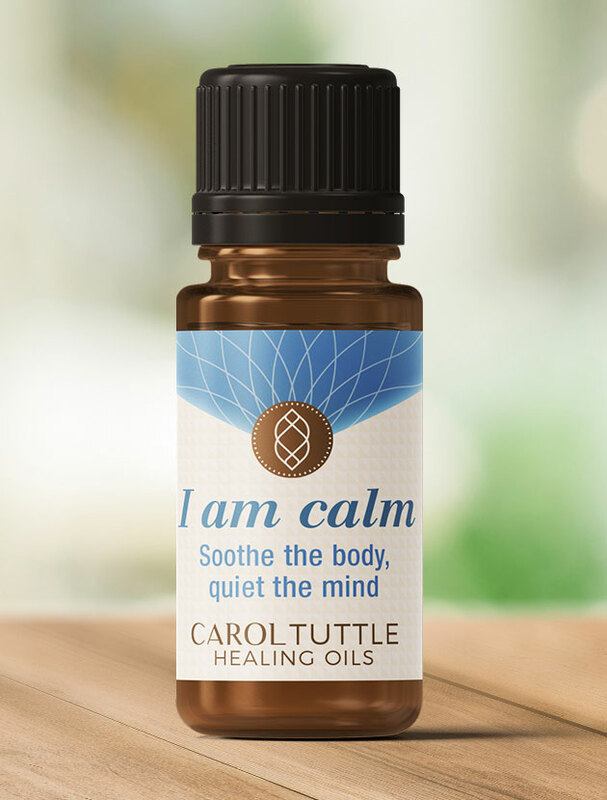 The oil customized to support you in this Healing Plan: I am calm. The list may look long, but the techniques are quick once you’re familiar with them. Each technique resets your experience so you can eliminate stress, fear, and anxiety. Listen here or download and listen on the go. In order to feel peace and well-being, you have to believe you can experience it. This audio session is highly supportive in helping you create a new habit of peace and well-being. Listening to it in the morning sets you up to feel good each day. Listen here or download and listen on the go. Listen to this short audio to train your mind to create new habits of calmness and confidence. Ask your angels to go before you each day to prepare the settings and people you will interact with to support you in experiencing your true and confident self, and as a result, the experiences you have will support you in feeling good. Sound healing, using Tibetan healing bowls, helps you process, clear, and ground your energy. They activate your energy centers to help you express your true self with more ease. Listen to this track while you do 2 Techniques to Make Every Day Pleasurable, petition your angels, go on a walk, or as you fall asleep at night. This general stress clearing will support you in letting go of hidden emotions and beliefs that keep you stuck in frequent or daily bouts of stress. Your experience with time may cause stress and anxiety. This session will assist you in creating a balanced experience with time, which will lead to more predictable calmness day to day. Your primary emotional need from 0-6 months old was to know you were loved for existing. If this need goes unmet, your inner child may carry a hidden fear that you are not worthwhile. You may do things to try and feel important, which causes a spiral of stress and anxiety. This session helps you release yourself from this unhealthy pattern. This healing session focuses entirely on positive and affirmative statements as you tap on your body. Your body is familiar with the vibration of stress, fear, and anxiety. This session will help train your body to hold the higher vibration of calmness and balance. This general anxiety clearing will support you in letting go of hidden emotions and beliefs that keep you stuck in experiencing frequent and daily anxiety. When you hold a deeper belief that you are not enough, you try to make up the difference in your doings. As a result, you create patterns of perfectionism, which lead to stress, fear, and anxiety. This session will release you from needing to do things perfectly and help you connect to the innate truth that you are valuable for existing. You may feel guilty for not being good at the roles you play, for your lack of confidence, or even for feeling guilty! Guilt is an emotional energy that feeds the stress, anxiety and fear you are choosing to heal from. This session will help you release patterns of guilt. Carrying old “stuck” energy in your 7 primary energy centers (called chakras) adds to your pattern of stress, anxiety, and fear. This healing session will assist you in opening and clearing these powerful energy centers to support you in living as a wise, powerful being who is designed to feel balanced, aware, and confident about yourself and life. Not living in your true essence causes stress, anxiety, and fear. Use this session to release the shame energy that is connected to your true self. Amethyst: Helps you attain wisdom by reminding every aspect of your being of its inherent spiritual nature. It can help you let go of all that is old and all that holds you back—on every level and in every aspect of life—so that you may fully embrace your spiritual destiny. Citrine: Loosens your hold on all that no longer serves you, so that you may progress to the next higher state of being. Citrine unwinds tension and increases flexibility in the cells, organs, and body as a whole, thereby encouraging your body to relax and move into greater alignment.